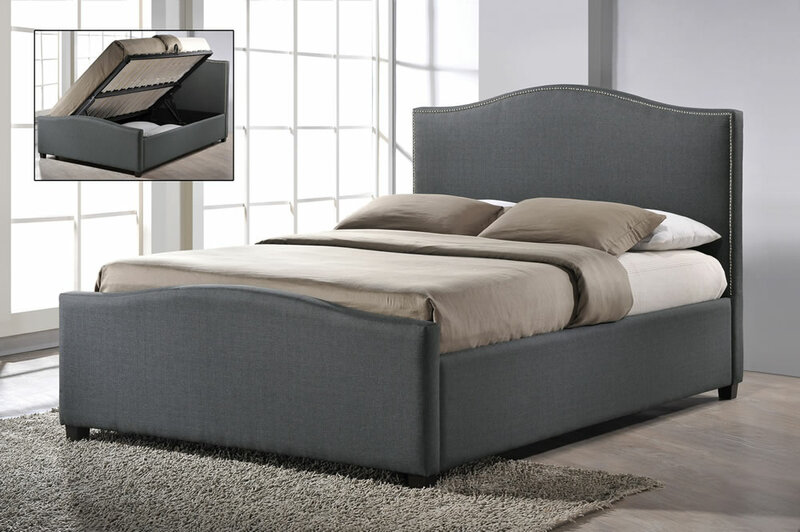 The Time Living Brunswick Ottoman lift up storage bed is available in a choice of grey or sand fabric colours, has solid wood feet and comes in standard UK double and king size frames. 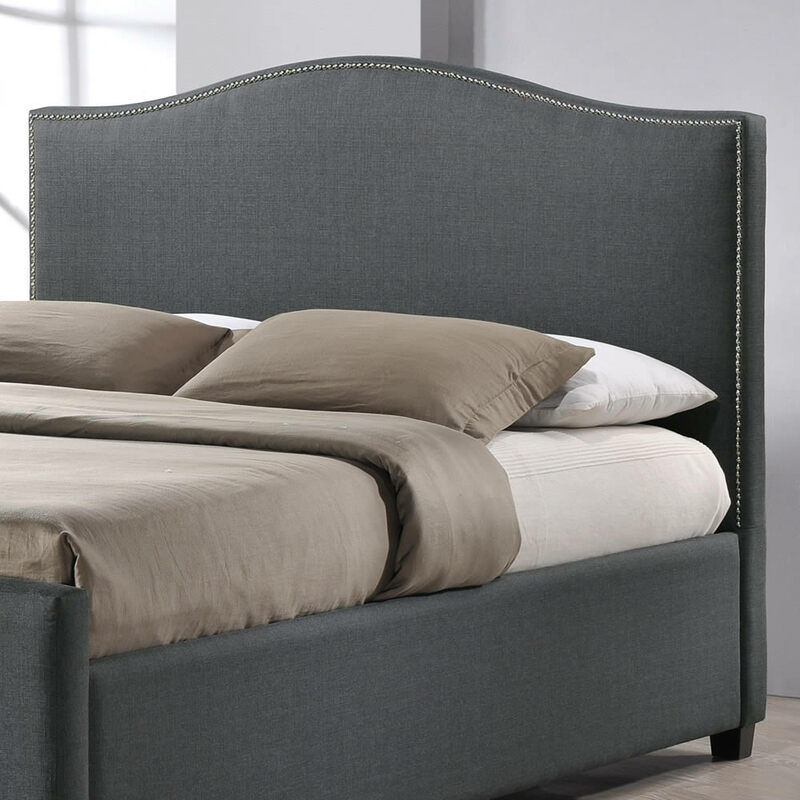 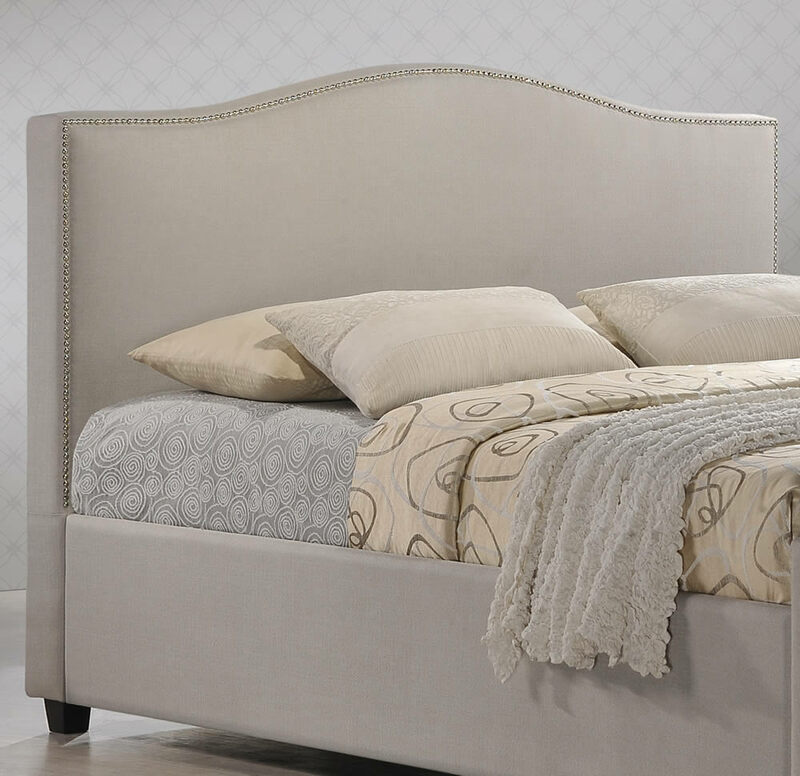 The Brunswick bed has a high curved headboard that features polished stud detailing and a low foot end. 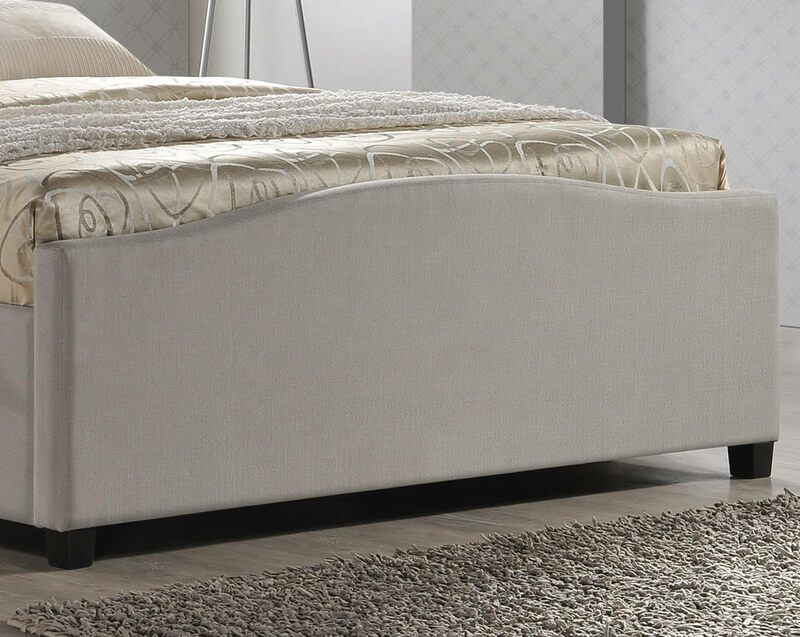 To reduce the manual effort needed to raise the lift up mattress base the bed comes with a premium quality German hydraulic mechanism allowing the base to be assembled to raise from the left or right side of the bed frame. 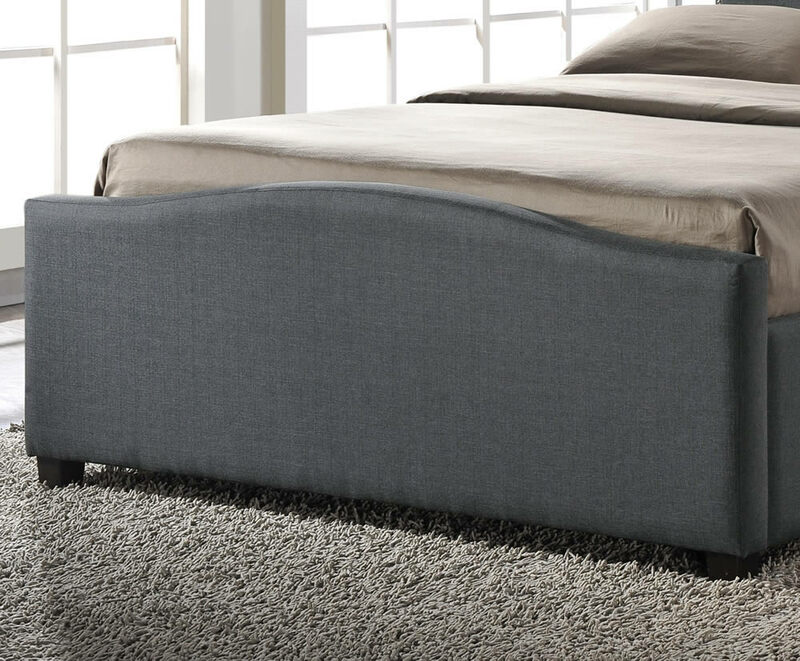 The large under bed storage space offers a sturdy upholstered base making it the perfect place to store bedding and seasonal items. 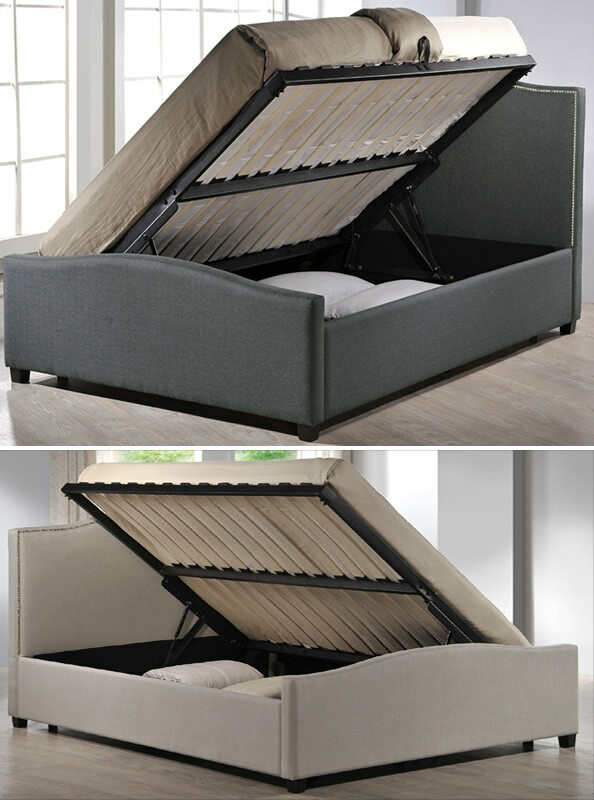 The sprung slatted mattress base offers extra comfort over traditional slats for a better rested nights sleep.